Wilfrid Laurier University (aka Laurier) offers numerous scholarships and awards for Canadian and International students. Wilfrid Laurier University, in partnership with Timm Vera, is offering the Audrey Joan McNiece Memorial Award as an Undergraduate Female Scholarship for the Canadian student in Business & Economics and Science at Wilfrid Laurier University for academic year 2012. The Audrey Joan McNiece Memorial Award at Wilfrid Laurier University has been established by Timm Vera in memory of his mother, Audrey Joan McNiece. So, how much does it all cost? There’s tuition, living expenses, textbooks, technology, fees and parking costs. And don’t forget food, clothing, entertainment, transportation, phone bills and the occasional haircut! The good news is this award can help. This is the application for competitive scholarships and awards for undergraduate students. This completed application is required for all award opportunities which state that an application is required, with the exception of opportunities which specifically indicate that a “distinct” application is required. You may visit the scholarship page. Wilfrid Laurier University (WLU), simply known as Laurier, is a Canadian public research university located in Waterloo, Ontario, Canada. 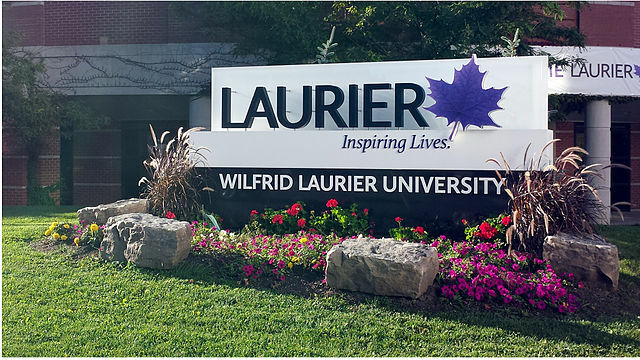 Laurier has a second campus in Brantford and offices in Kitchener, Toronto and Chongqing, China. It is named in honour of Sir Wilfrid Laurier, the seventh Prime Minister of Canada.